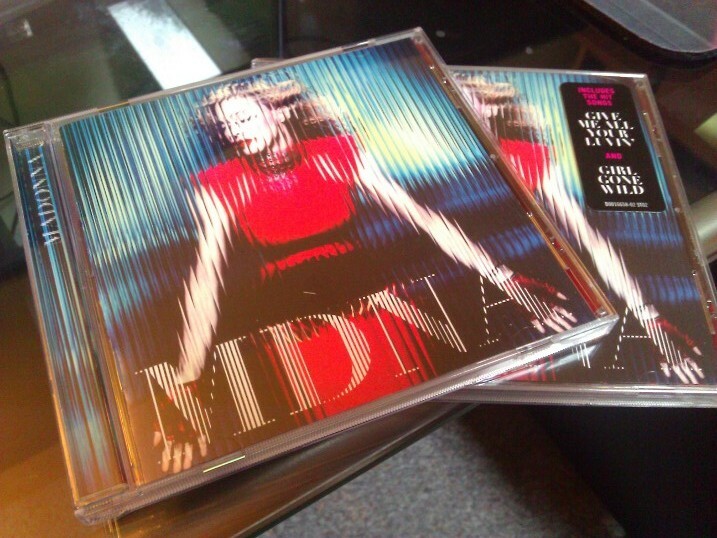 So this afternoon, after visiting the gym, I was feeling a little bit hungry as people often do after sweating to the oldies (or in this case, to the clean version of MDNA). I imagine that people who are truly devoted to their physical health probably solve this by downing a protein shake, or perhaps some baked chicken and rice. I have nothing in common with those folks. 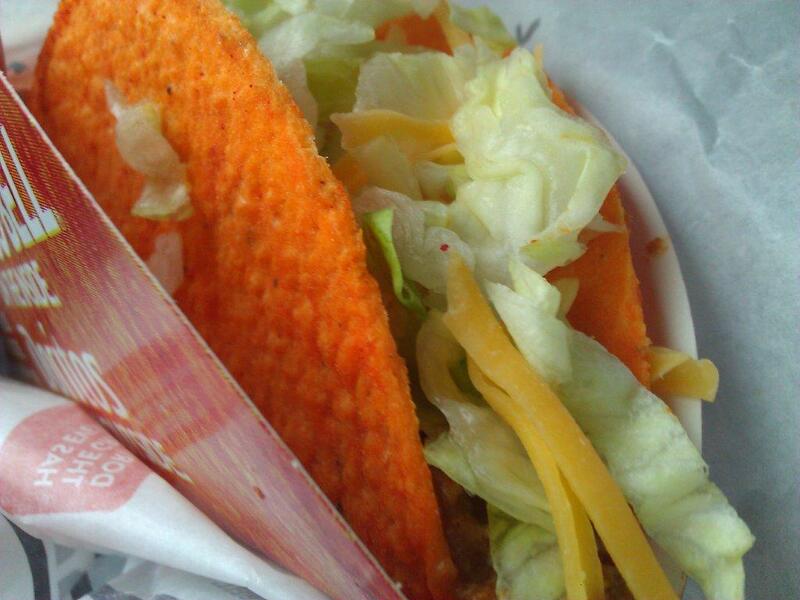 I wanted to try that new Taco Bell taco that has a shell made out of Doritos. Today was very rainy, so I headed to the drive-thru, where the lady had a bit of difficulty understanding my order. I told her I wanted one Doritos taco, but not a "Supreme" like it comes, I wanted them to make it like a regular old taco. Once we established this, I also ordered a regular taco...(for comparison purposes). After a few minutes, I had my food. I pulled into the parking lot to dine, having no intention of driving around with these things another minute longer. Tacos are difficult to eat while driving and besides, this is for SCIENCE. I had to eat them while they were as fresh as Taco Bell food can possibly be. I tried the regular taco first. It tasted exactly like it's supposed to. People say a lot of negative things about Taco Bell, but I've always enjoyed it. Even though I hear some of their ingredients barely qualify as actual food, it's still one of the tastier fast food options out there. The shell is a giant Dorito, as advertised. It shares all of the Dorito properties you have come to know and love, both good and bad. For example, the shell turns your fingers orange. This was OK with me, considering that this was a meal for science. Unfortunately, it also shares the same durability as your average Dorito and that's a problem. The thing cracked immediately when I touched it. Normally, this might mean a bunch of Taco ingredients falling all over the place, but Taco Bell has wisely included a cardboard taco-shaped sleeve to catch all the ingredients as your novelty taco shell disintegrates before your very eyes. Each bite further reduced the giant Dorito back to it's natural form (smaller Doritos). It tasted just fine (as it turns out, Doritos actually go quite well with tacos), but it sure was messy. Compared to the regular Taco, this crazy nacho cheese flavored shell doesn't hold together at all. By the time I was finished, I had a lot of taco ingredients to scoop out of the cardboard sleeve with my orange fingers. Overall...it was fun to try once, but unless Taco Bell figures out how to make a stronger Dorito, I'm not ordering this again.